Topline final results now available from the LIGHTSITE I clinical trial for the treatment of dry age-related macular degeneration (AMD) utilizing its LT-300 Light Delivery System. "LumiThera PBM treatment demonstrated reductions in central drusen volume over the course of the one-year study versus the sham treatment with statistical significance at one year, (p = 0.05). Drusen is the hallmark pathology of dry AMD and is an important proinflammatory mediator and marker for disease progression," says Dr. Marion Munk, MD, PhD, a member of the investigator team. "Results from the LIGHTSITE I study following treatment with a multi-wavelength PBM treatment demonstrated clinical improvements in vision outcome measures providing a strong foundation for initial therapy as well as the need for follow-up maintenance therapy," stated Samuel Markowitz, M.D., Co-Principal Investigator, Department of Ophthalmology and Vision Sciences, University of Toronto. "The PBM therapy was most beneficial in dry AMD patients immediately following the completion of the treatment sessions. 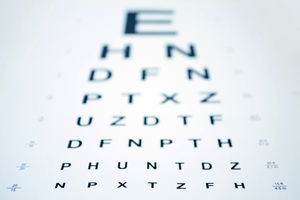 Contrast sensitivity or detailed vision was significantly improved throughout the year. Retreatments at a 6 month interval were performed to maintain clinical benefits." "We are excited by the completion of the LIGHTSITE I trial and seeing the benefits in both clinical outcomes and drusen pathology," stated Clark Tedford, Ph.D., LumiThera President and CEO. "The LT-300 Light Delivery System performance was excellent throughout the clinical trial and patients provided positive feedback from their PBM treatment experience over the course of a year. This foundational data will accelerate our learning to develop options to treat complicated degenerative eye disease, where patient options are limited. The results demonstrate that the therapy is both a safe and effective treatment for early stage dry AMD patients. The current trial results will be used to refine the upcoming multi-center clinical trials expected to start initially in Europe." "LumiThera's LIGHTSITE I data is the first prospective, sham controlled, double-masked, pilot clinical dry AMD study with PBM," says Dr. Robert Devenyi, Co-Principal Investigator, Ophthalmologist-in-Chief and Director of Retinal Services, UHN, University of Toronto. "The results show PBM using the LT-300 device can improve Visual Acuity and Contrast Sensitivity as vision endpoints for dry AMD patients to counteract the degradation in vision that this disabling disease brings." The 30-subject pilot study was partially funded from a Small Business Innovation Research (SBIR) grant awarded to the Company from the National Institute of Health and the National Eye Institute. The trial tested each subject's vision and examined disease pathology in the eye, following PBM treatments for up to one year. 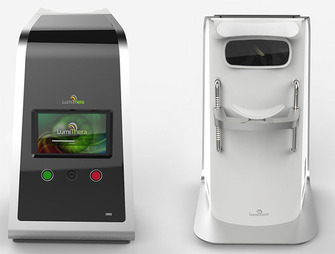 The LT-300 is not yet approved for use by the Food & Drug Administration (FDA) in the USA. The device has not yet been granted a CE Mark by a Notified Body for commercial use outside of the USA. Visit the Company's website at www.lumithera.com. GenSight Biologics reported 2.5 years of follow-up data from its phase I/II clinical trial of GS010 in patients with Leber Hereditary Optic Neuropathy (LHON). These results confirm longterm sustained gains in visual acuity 2.5 years after a single intravitreal injection of GS010, especially in subjects with less than two years of onset of vision loss. In the study, five cohorts of three subjects were administered an increasing dose of GS010 via a single intravitreal injection in the eye more severely affected by the disease. Recruitment of 15 subjects was completed in April 2015 and long-term follow-up is ongoing. Subjects had an average onset of vision loss of six years at the time of treatment. At baseline, both treated (TE) and untreated (UTE) eyes had an off-chart median visual acuity. At year 2.5 post-injection, in subjects less than two years from onset of vision loss and with relatively better vision at the time of treatment (<2.79 LogMAR), TE had a mean gain of +28 ETDRS letters (0.55 LogMAR) compared to baseline, while UTE had a mean gain of +13 ETDRS letters ( 0.25 LogMAR) compared to baseline. The difference of +15 ETDRS letters in favor of TE is clinically significant, and the magnitude of the improvement, which is similar to the trend observed at weeks 48, 78, and 96, suggests sustained benefit from GS010. The subject group (n=5) with an onset of vision loss of less than two years and relatively better vision at the time of injection (<2.79 LogMAR) demonstrated a sustained pharmacological trend in favor of the treated eye, of increasing magnitude from week 36 onward, with 60% of subjects showing a clinically significant gain of = 15 letters in TE at year 2.5. At year 2.5 post-injection, GS010 continued to demonstrate a favorable tolerability profile, with no reports of worsening vision or ocular sequelae, serious treatment-emergent adverse events (TEAEs), nor systemic adverse events (AEs) related to GS010 or its administration. GenSight Biologics is currently conducting two phase III clinical studies (RESCUE and REVERSE) in Europe and the U.S. to assess the efficacy of GS010 in subjects affected with LHON due to the ND4 mutation, and with vision loss up to one year at the time of treatment. 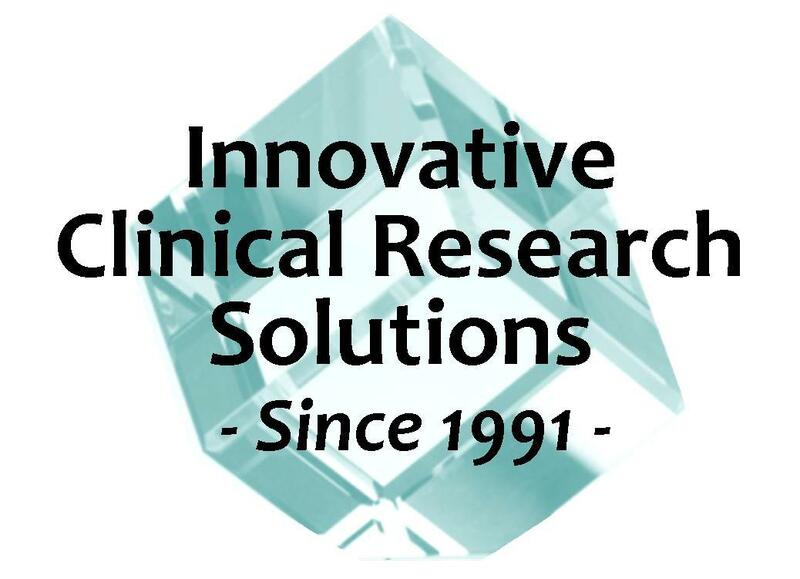 Clinical Trials for over 25 years! Resources are precious, time is the enemy, and results are paramount. CONTACT US for an RFP or COMPETITIVE BID on your next project! CRF DESIGN - IxR & EDC - MEDICAL WRITING - SAFETY - REGULATORY CONSULTING - AND MORE! About Criterium Inc. Criterium Inc. www.criteriuminc.com is a global, full-service, technology-driven contract research organization that offers a unique mix of high-quality, innovative clinical research solutions for the biopharmaceutical, pharmaceutical, medical device, and CRO industries.